The Moodie Davitt Report canvassed the views of senior management at The Shilla Duty Free about the significance of the opening, the big highlights and what it means for the company’s wider ambitions. The Moodie Davitt Report: What kind of showcase does Hong Kong International represent for Shilla and what do these stores say about the company’s reach and ambitions beyond Korea? Hotel Shilla Vice President, International Division Jinhyuk Kim: Beauty is a leading category in airport duty free and having a great presence in such a dominant and dynamic category is a privilege. Beauty&You is another great milestone in Shilla’s history of global expansion. Ever since 2011, the company has been endeavouring to reinforce our presence in the global travel retail industry. 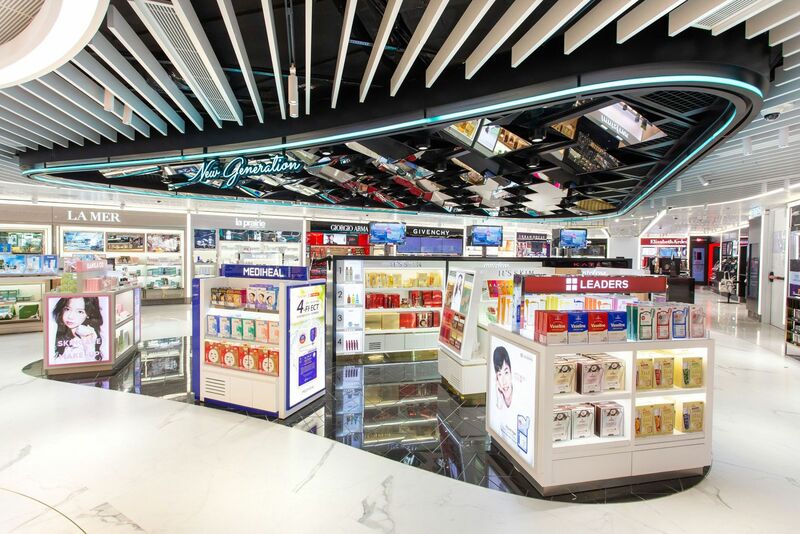 By securing Hong Kong International Airport’s (HKIA) beauty and fashion accessories concession, Shilla is fortunate to have established a unique and strong position in three leading airports in Asia Pacific. More than 200 million international passengers travel through the three airports annually and Shilla has access to this massive market. More importantly, Shilla offers experience of beauty shopping at those airports to make the company a dominant player in the beauty category. Airport Authority Hong Kong had some demanding expectations for this concession and the bid drew very strong competition. What do you think was the key to Shilla’s success? Jinhyuk Kim: The experience and know-how Shilla has acquired at Incheon and Changi airports appeal to other airports in the region. Shilla has shown acumen and competitiveness in both beauty and fashion categories. The sensational launch of the world’s first Louis Vuitton airport store at Incheon International and securing the highly competitive Singapore Changi beauty concession is proof of the company’s strength in these categories. 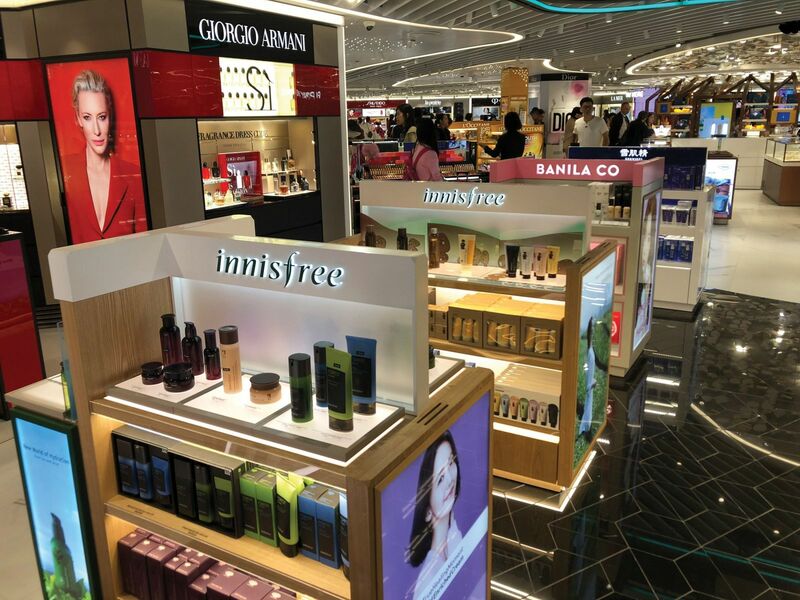 As the key player in the beauty category at three major Asian airports, Shilla has the advantage in negotiating exclusive launches with brand partners. 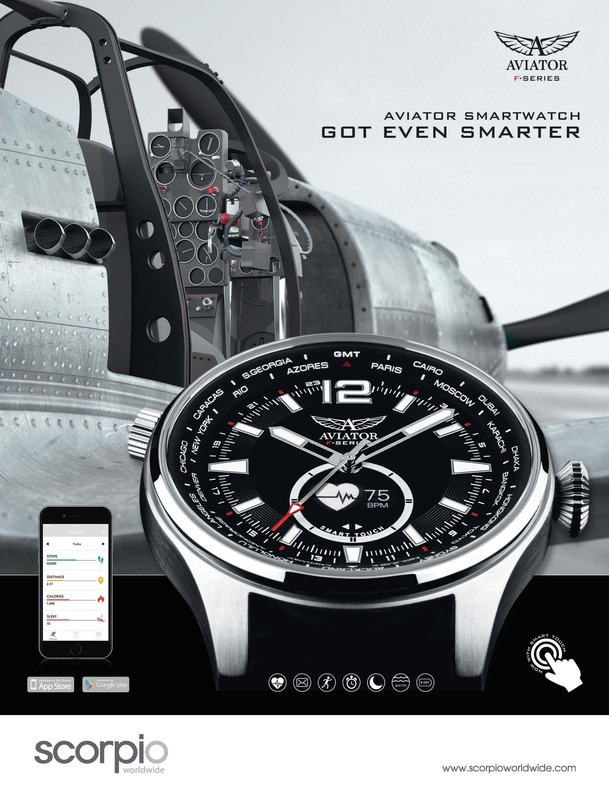 This, added to a tailored and unique positioning offered to Airport Authority Hong Kong (AAHK), complete with innovative concepts targeting the passengers at Hong Kong International Airport (HKIA), differentiated Shilla and opened a new opportunity in Hong Kong, for which we are grateful. With proven track records and the will to continue innovating, Shilla has added another dynamic airport to our portfolio. The financial troubles of the former incumbent were well-documented. Can Shilla deliver a profitable business as well as a high-quality one? What are Shilla’s ambitions to grow penetration, sales and average spend here compared to the previous incumbent? The year has begun with a positive look with performance ahead of our business plan and we stay optimistic about profitability for the year. With the strong planning and preparation effort we put in the first year, from our knowledgeable and enthusiastic local and head office teams, and a very strong partnership with brands and Airport Authority Hong Kong as commercial partners, we believe we can have sustainable profitability. Can you outline the key principles behind the development of the Beauty&You concept? 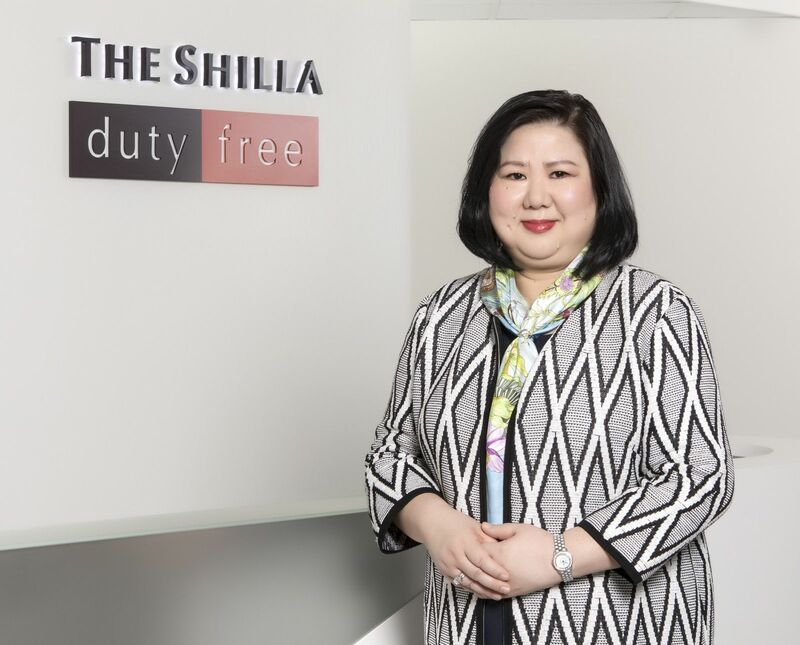 Shilla Travel Retail HK Managing Director Alice Woo: Beauty&You symbolises our commitment to deliver a comprehensive beauty retail experience and perceived value to our travellers and customers. Value is defined as all the elements within our store, including store design, atmosphere, comfort, accessibility, in-trend brand offers, digital engagements and pampering customer service. How does this concept differ from what went before at HKIA and from other major Asian airport beauty locations? How have you tailored it for the diverse Hong Kong Airport traveller base? Alice Woo: Each airport has its specificities and we took them into great consideration during our store concept development and design planning to match with each location’s unique customer mix and retail environment. Our customers represent global travellers and we customise our beauty experience to every individual. With the blend of perfumes & cosmetics with fashion accessories and different engagement zones, our store appeals to not only the Millennial travellers with increasing purchasing power, but also customers who are passionate about beauty and fashion, and appreciate personalised attention. La Prairie Regional Director, Travel Retail Asia Jean-Marc Loi: “With its regional expansion success and advanced retail expertise, Shilla has once again brought the duty free shopping experience to another level. 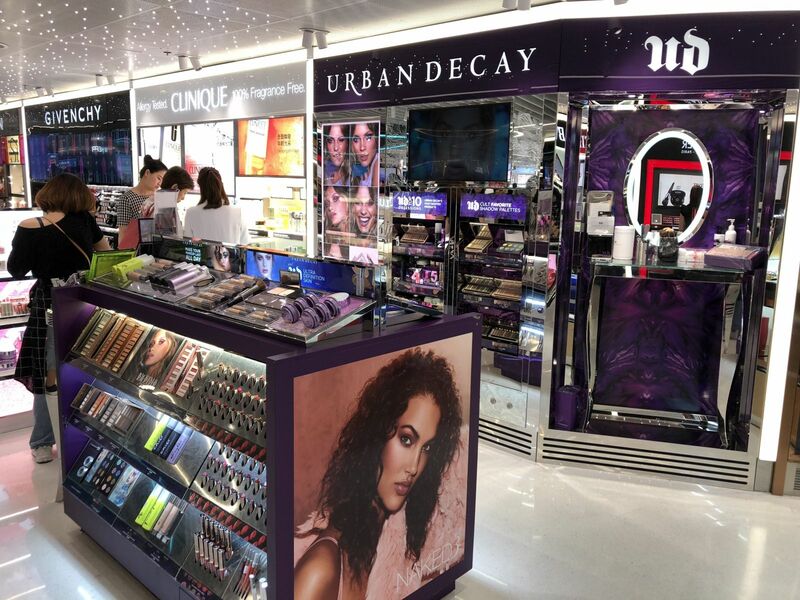 Its new beauty and fashion accessories shop Beauty&You at HKIA infuses interactive digital elements and professional advisory services into an engaging and innovative store design concept. All these elements work seamlessly and allow consumers to discover his/her personalised beauty solution. The company pledged to “be at the forefront of experiential retail” with these new openings; how has Shilla delivered on this ambition? Alice Woo: The store is designed to curate journeys of discovery for each traveller through featured zones. The journey rolls out from a powerful Curated area as the centre point of the store where featured themes and trendy looks merge into one showcase covering both beauty and fashion accessories categories. We also have the New Generation zone showcasing the best of Korean and Japanese cosmetics and perfume brands. Elements is an area dedicated to gentlemen-specific products. In these zones, we engage customers with the use of digital technology like VR Experience, Make-up Selfie, impactful video screens and digital columns to draw customer attention and maximise penetration. How did Shilla challenge brand partners to bring something new to this location? How have they delivered? Shilla Travel Retail HK Senior Director Merchandising and Logistics Changha Shin: We wanted to remain true to our tender submission and respect our strategic positioning based on customers’ research specific to HKIA, brands’ knowledge and of course our own experience in and outside Korea. With this in mind, we made our intention clear to potential discerning brands, which in turn recognised the opportunity and decided to join and partner with Shilla in this exceptional journey at HKIA. 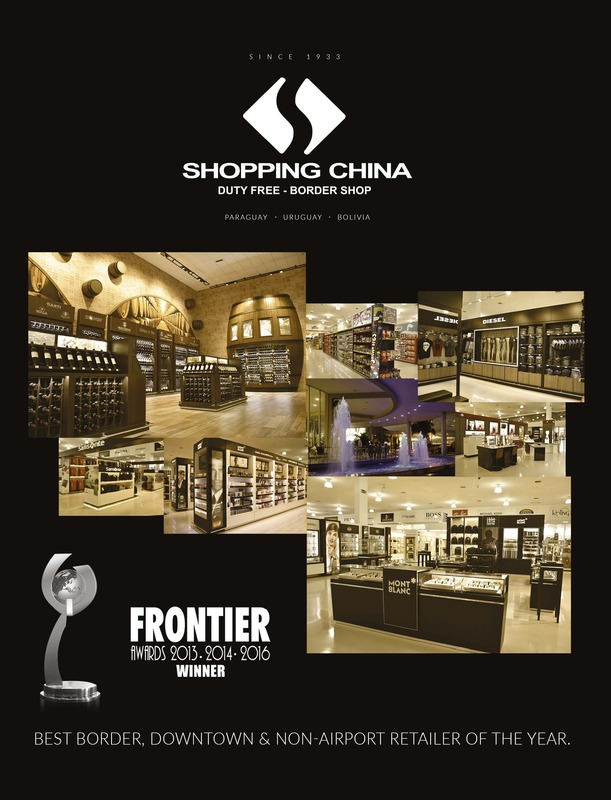 We carry over 60 new brands in both fashion accessories and perfumes & cosmetics in our HKIA offer. Can you list some of the new brands that take their place in this arena and how do they complement the core offer? Changha Shin: Elements for Men carries an array of innovative and flawlessly crafted brands such as Bresciani, Maglia Francesco and Victrix, just to name a few. The New Generation store concept features the introduction of Korean and Japanese cosmetics such as Innisfree, Etude House, Three and Kate. 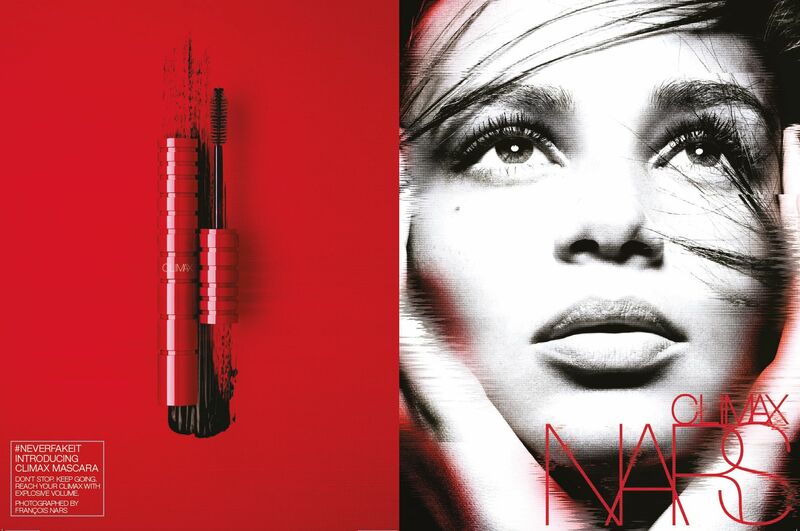 Other zones such as perfumes and make-up have brands like Eight & Bob, Nars, Ladurée and Urban Decay. How do in-store digitalisation and online engagement play their part in the Shilla approach to the consumer? Shilla Travel Retail HK Marketing Director Angela Kwok: As soon as travellers pass by our main stores, they will be drawn in by the impactful entrance LED screens delivering strong brands and corporate messages. Then moving into the store a world of brands, innovative and interactive touch points and special offers are there for them to discover in an ambience of comfort and architectural consistency with strategically located and designed activations. For travellers who enjoy the fun of makeover, we have the digital make-up selfie applications at the New Generation zone and the Get the Look digital column where our brand partners can personalise and feature their latest and best of interactivity. The travellers who look for fun and sensorial experiences can try our VR journey at the Curated zone as well as brand partners’ interactive initiatives. At our East Hall South store, we have the Magic Mirror feature which promises informative messages display as customers walk nearby. Luxottica Group Global Channels Director Alessandro Pozzi: “Beauty&You seeks to creatively redefine classical category adjacencies. Featuring the fast-growing sunglasses category alongside the booming beauty category – with the best-selling brands in skincare, fragrances and make-up – brings added visibility and footfall for sunglasses. This is uncharted territory, but as the category leader Luxottica will embrace the challenge, observe the purchasing dynamics and work with Shilla to optimise the sunglasses space. The rationale makes sense. I think our category has a strong execution, and the beauty environment complements the lifestyle, prestige and luxury nature of our brands in sunglasses. 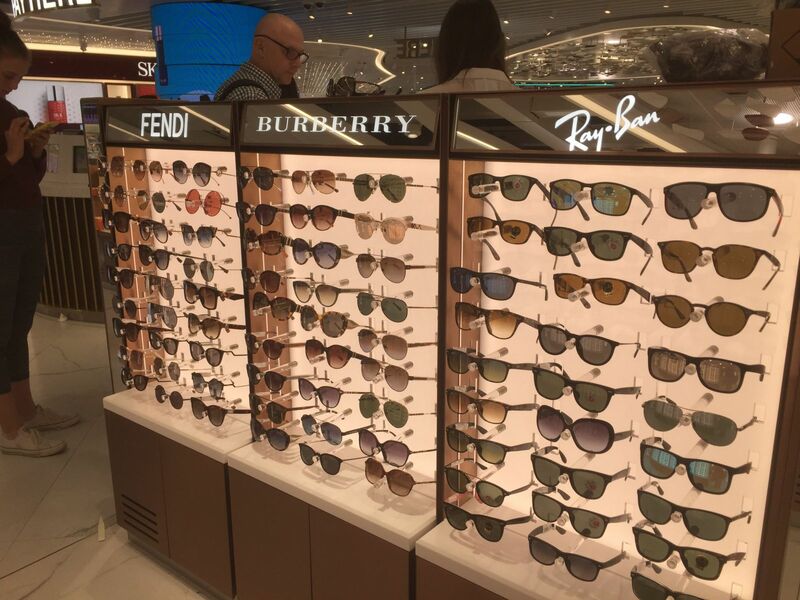 “Luxottica Group is excited to become an ally in stimulating cross-category sales at HKIA. 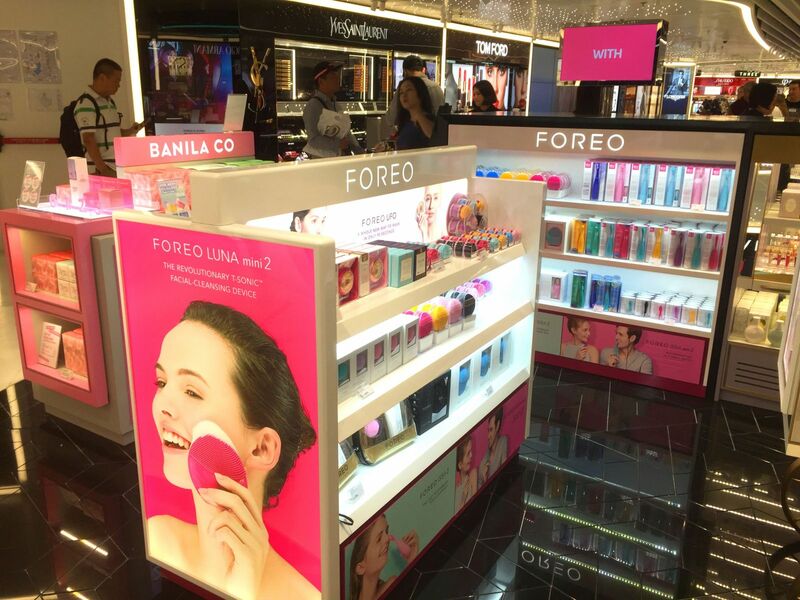 The sale of fashion and accessories inside a perfume & cosmetics concession provides travellers with a reinterpreted and more holistic ‘beauty’ retail experience. Sunglasses are a part of who an individual really is and how they look, therefore part of that individual’s beauty.